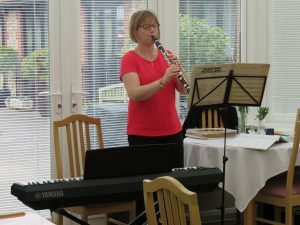 On Tuesday 12th February, our lovely returning entertainer, Lynda visited us with her piano and clarinet. Firm favourites could be heard echoing down the corridors with many of our residents singing along tunefully! Attached is a list of the song choices from the concert, given to us by Lynda before a visit. What a lovely morning. 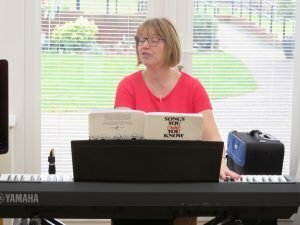 12/13) Don’t Dilly Dally and All the Nice Girls – All to join in!